The season of giving is fast approaching, and for the first time in a while, I’m dedicating more posts to the holiday season. More full and inspiring gift guides, more decor tips, and more outfit ideas. I hope to make your holiday shopping and dressing a little bit easier and a little bit more exciting. Prepping and sharing with you, helps me. 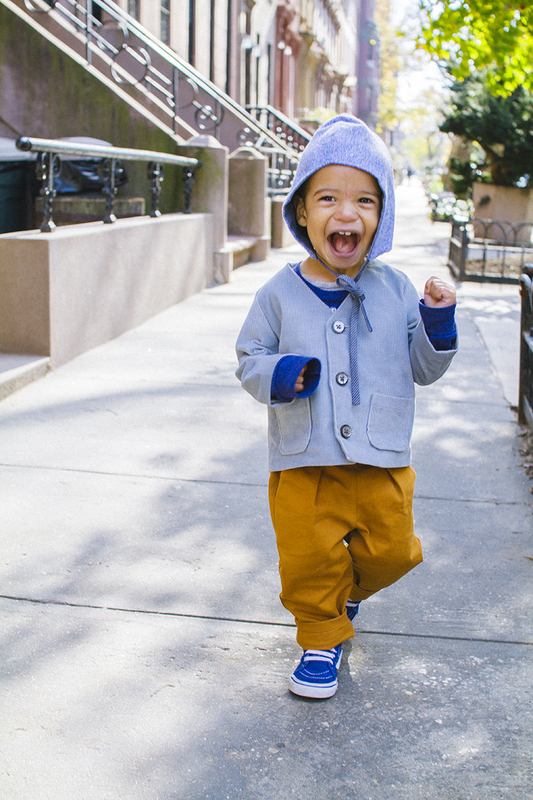 On a mild city day, Oak is dressed head to toe in our Willaby favorites. In addition to their unisex orange trousers, we love Willaby’s take on lounge wear (reversible, comfortable, and textured). A bonus: Each piece is designed and sewn in Georgia. 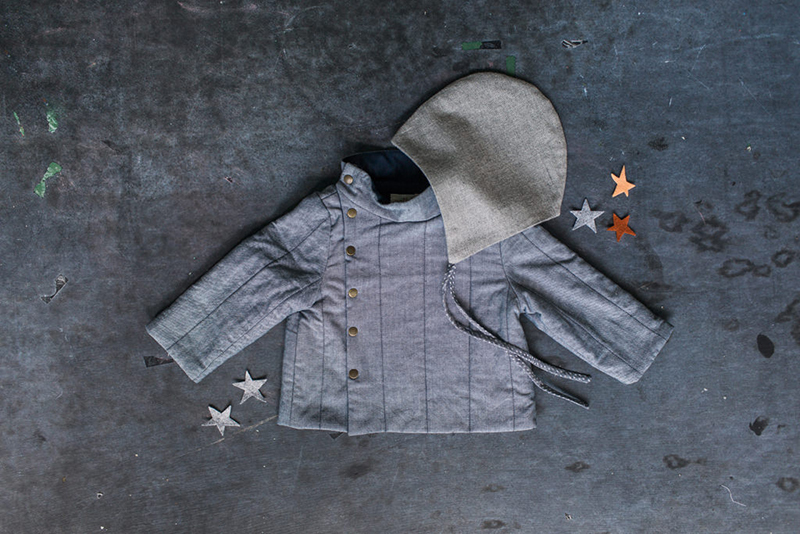 I’m a huge fan of Babaà’s take on the cowl neck for kids. The design is classic and a bit edgy and colorful. 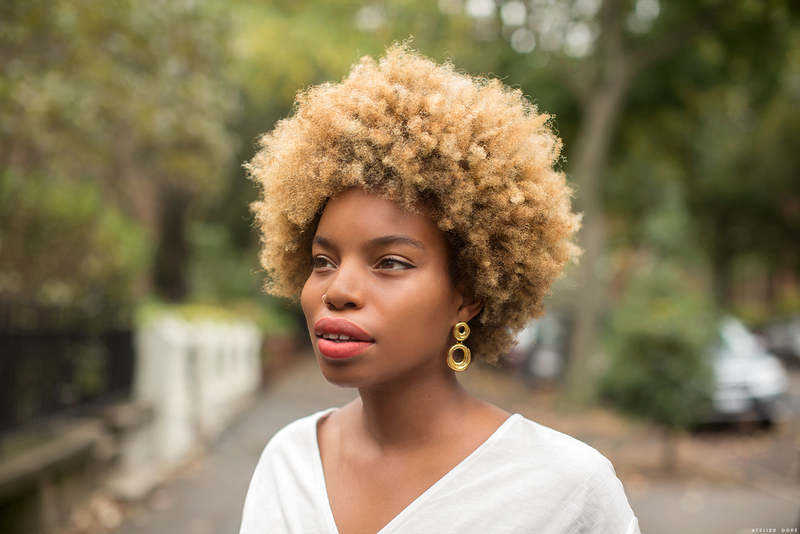 We’ve long been fans of Misha and Puff, I’ve also had the chance to meet with the mama and designer behind the cult-followed collection. Each piece is cozy and hand knit in Peru. You can find her items in a lot of places, but personally, we love purchasing from Lindsey of Darling Clementine Shop. 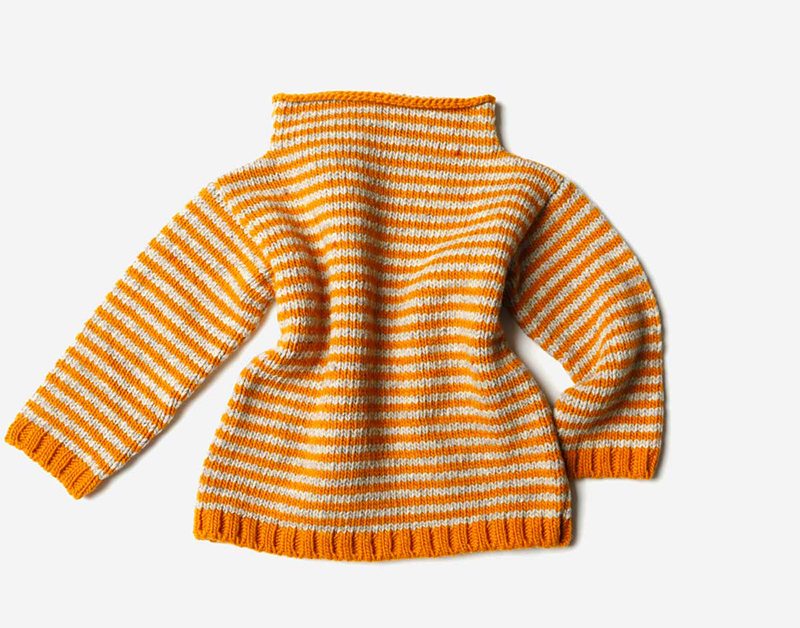 Instead of looking at the prices of children’s clothes this season as a splurge, I look at them as investments. 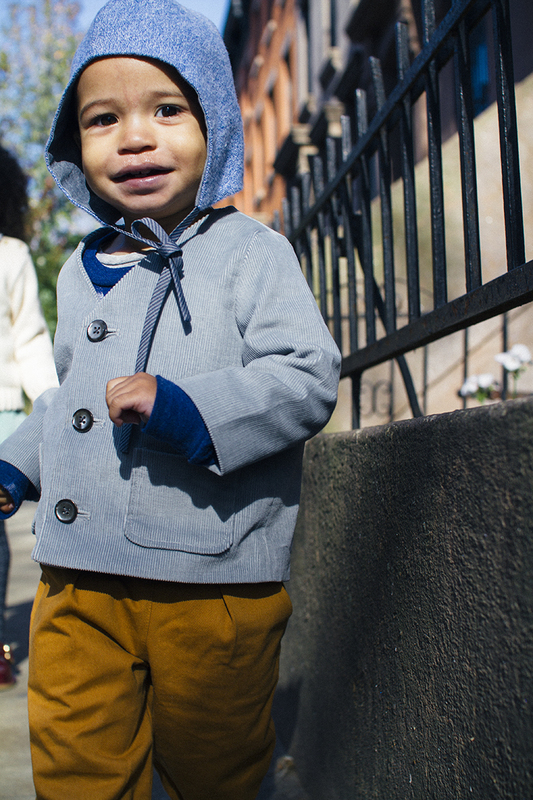 The life of any form of outwear should be long, and all of these brands provide that. In addition; I always size up. Simply sizing up lends more time to each piece, and gives them the opportunity to wear it above a few lighter layers. Oak is pictured wearing The Corduroy Jacket, The Pleated Pants, and Soft flannel Bonnet courtesy of Willaby, a brand I adore. Previous post: What Do You Discuss With Your Children?